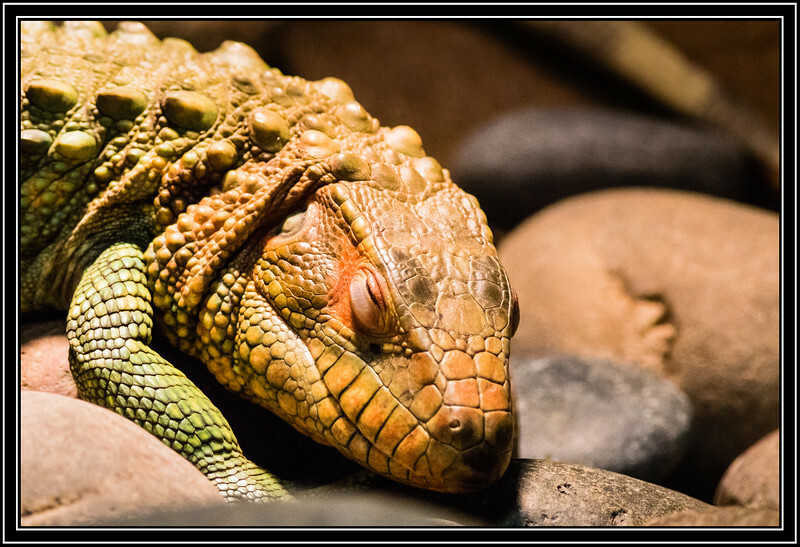 Terrific close-up of this Caiman Lizard with all its details. Amazingly shaped lizard !! Superb close-in detail ! Really neat shot - but let sleeping dragons lie. Super capture, up close and personal!